As you drive north along Highway 1, away from Santa Cruz, be mindful of your items. Random items seem to get stolen from those passing by or staying in Waddell Creek. Sometimes it will be a personal item, or an article of clothing, perhaps some food, but one thing remains constant - things seem to just mysteriously vanish around Waddell Creek! What is the reason for these mysterious thefts? Well, long ago, when stagecoach drivers took the route they would warn their passengers to keep an eye out for the "sticky fingers of William Waddell's arm"! Since 1875, the larcenous arm of William W. Waddell has been stealing from people around the creek named after the former owner of the arm. 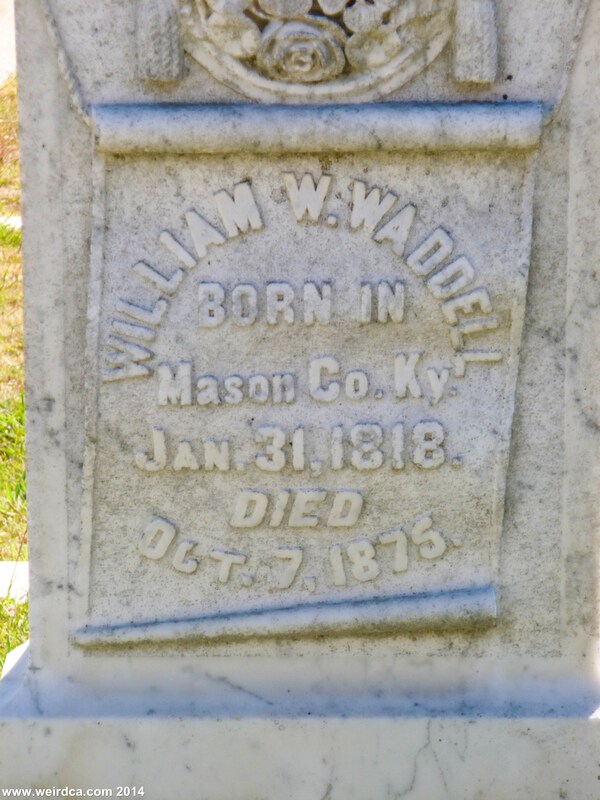 Who was William Waddell and how did he come to lose his arm? 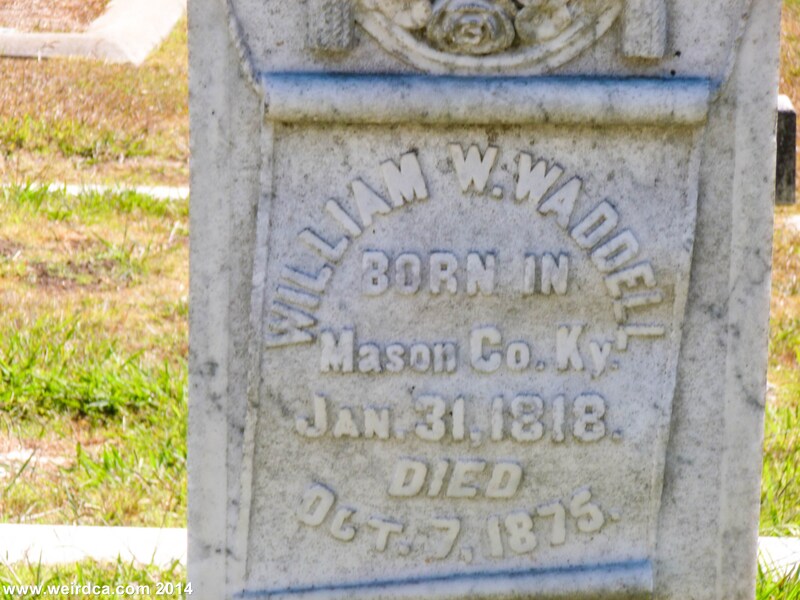 Originally born in 1818 in Kentucky, William Waddell first moved to Missouri in 1837, amassed a large fortune, then lost it, and then moved to Santa Cruz in 1851 in order to rebuild his fortune. He worked for Williams Landing Lumber Mill, and ended up operating multiple lumber mills in the area, before finally in 1862 he began to build the largest lumber mill in Santa Cruz County. He also built a wharf at Waddell Creek in 1865. Both had their ups and downs as the mill burnt down in 1864, was rebuilt, but burned down again later in 1883. The wharf succumbed quickly to the Pacific Ocean, and was crushed by the surf in 1866. So, not giving up, Waddell built another one further up the coast. He also built a tramway to the wharf as well as a pier in the Waddell Creek area. Despite being tenacious, and consistently trying again and again in the face of adversity, William White Waddell finally met his match, in the form of a grizzly bear. On October 1875, while out hunting deer, Waddell and his dog ended up too close to a grizzly bear's cub, and Waddell was mauled by the protective mother. 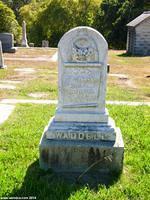 Still fighting, he lived long enough to make it to a doctor, who was regrettably forced to amputate Waddell's arm. They buried the arm in a meadow along the coast. 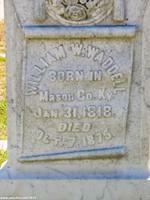 Despite the amputation, Waddell's injuries were too much and he succumbed to them a few days later on October 7th, 1875. But when they went to dig up his amputated arm, in order to bury him in one piece, they were unable to find it, for it had disappeared. William Waddell is buried in Santa Cruz Memorial Park but his arm is still at large, haunting the Waddell Creek area, filching items from unsuspecting victims as they pass through the area. Now adays, for the past several years, Big Basin Redwoods State Park around Halloween hosts a special half mile guided walk through the redwoods during which they provide a rendition of the ghost story of William Waddell's tale entitled "The Missing Arm of William Waddell". The walk passes by some of the oldest and tallest trees in the park, with various re-enactments located at several stops along the walk. 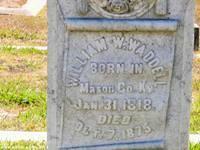 William White Waddell's grave is located in Santa Cruz Memorial Park Cemetery. 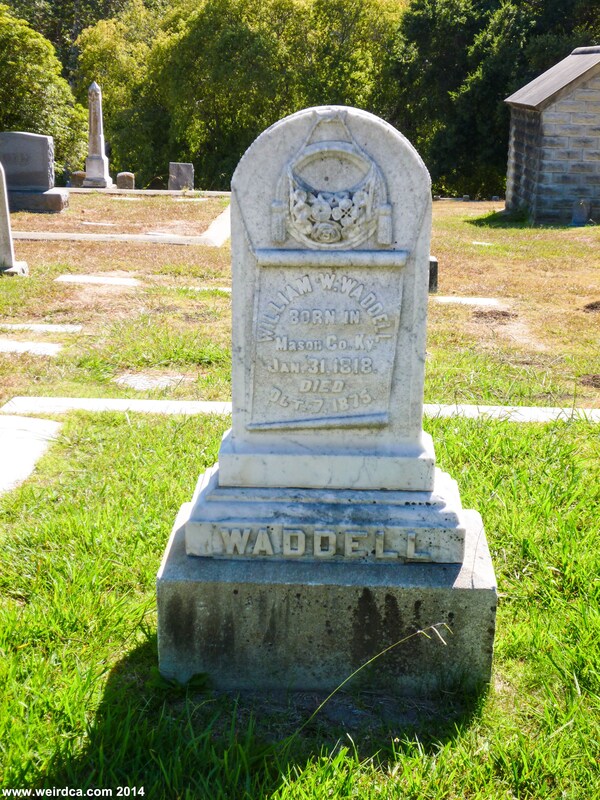 Enter the cemetery using the main entrance, head to the left, shortly after you pass the first circular planter like thing in the middle of the main road, Waddell's tombstone will be on the right. Not surprisingly the cemetery is rumored to be haunted. Spiritual activity has presented itself as shadows stirring, unearthly voices in the dark, faces appearing on tombstones, orbs, and even full on ghosts moving through the cemetery. Spirits have been witnessed, such as a groundskeeper, ghosts in Victorian wear, and even some dressed like the homeless. 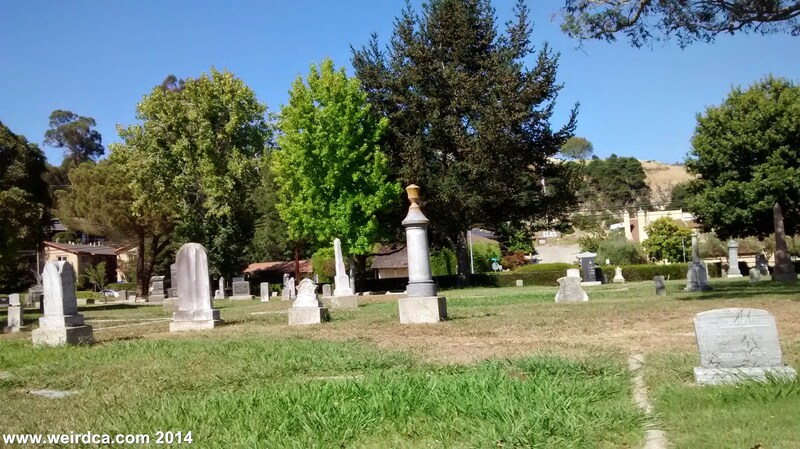 Additionally the White Lady of Santa Cruz has been seen in and near the cemetery as well as up Ocean Street. Waddell Creek and Waddell Beach are named after William Waddell and are part of the Big Basin Redwoods State Park. 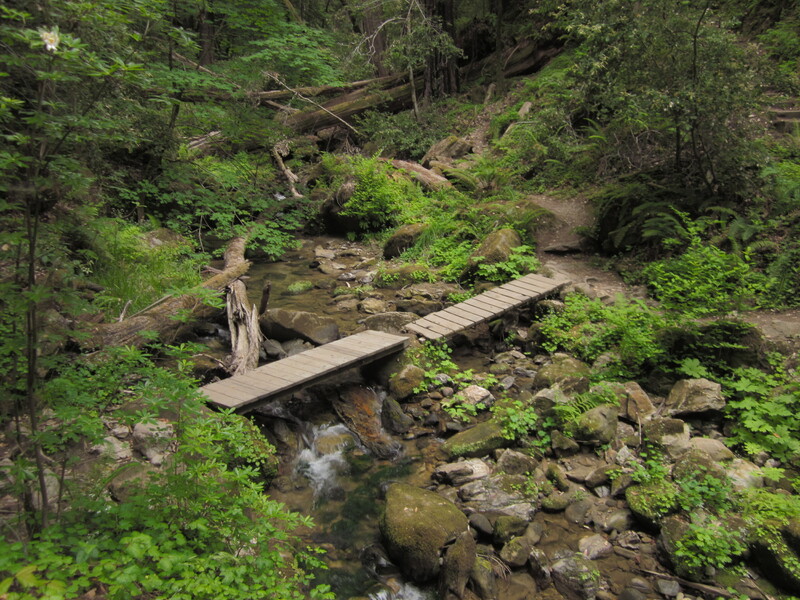 The area is known for its popular 29.5 mile hiking trail Skyline-to-Sea-Trail which has waterfalls and features some extremely impressive redwoods. If you hike the trail, which usually takes a few days, be careful of your hiking gear, and make sure William Waddell's arm doesn't take any of it!